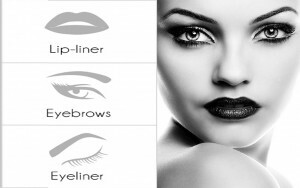 Microblading Your Eyebrows - Permanent Makeup Center Inc. Eyebrows are arguably the most important facial feature. It doesn’t matter if you like them arched and feathered or straight and bold, if you’re not satisfied with the ones you have, now there’s a very natural option that delivers semi-permanent results. Introducing microblading! “Microblading is perfect for those who want to fully reconstruct, define, cover gaps, or fill-in over plucked brows,” You can hardly believe it’s not real hair!